There are a few instances that really capture a band’s essence. And when you hear the term “Norwegian symphonic black metal”, it already perks up the ears of an extreme metal fan, even those not familiar with many metal sub-genres at all. All these factors, along with a beautiful evening that loaned itself to timing and the powers-that-be, aligned to bring a truly epic performance that rewarded fans in attendance at the 2012 edition of the world famous Wacken Open Air festival in Germany. 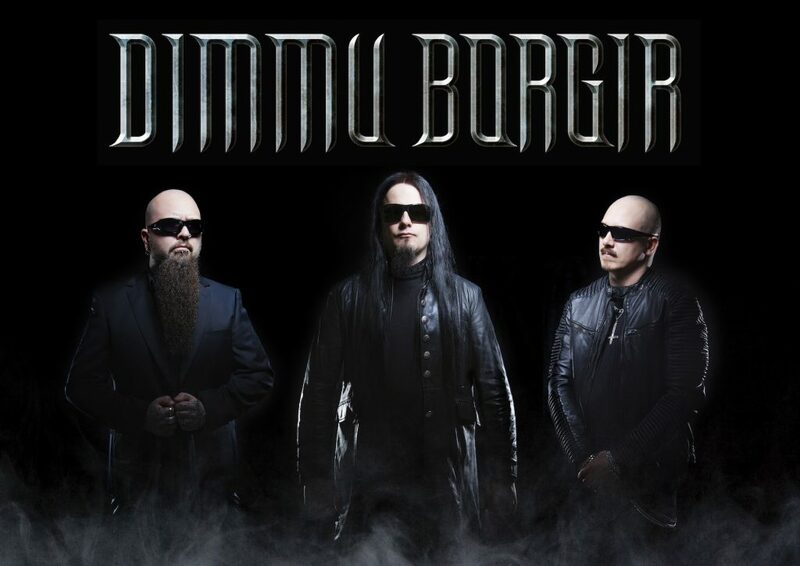 It was here that brought nearly 100 people on stage as part of the performance now dubbed ‘Forces of the Northern Night’ – the title of Dimmu Borgir’s new live DVD and live album set to be released through their longstanding (and recently renewed) relationship with Nuclear Blast Records. Led by the thre main members, Silenoz and Galder on guitars and Shagrath on vocals, along with Cyrus on bass, Daray on drums and Gerlioz on keyboards – this extraordinarily EPIC concert, the true, full definition of the word, is largely credited to the outstanding performance put on by the National Czech Symphonic Orchestra and the Schola Cantorum choir lead by conductor Jan Chalupecky – providing the 7th member presence that makes this performance one for the ages. With over 20 years of existence and their 5th time playing Wacken, Dimmu Borgir wanted to make this a special performance and did so in great fashion, beyond their wardrobe and expectations. Spoiler alert – You may want to skip over the next 2 paragraphs to avoid a few. Now arguably, Dimmu Borgir performing a large chunk of their latest album ‘Abrahadabra’, which released in 2010 and received mixed reviews, is another added bonus. Even if you aren’t familiar with it, viewing and hearing it in this capacity will give you a great appreciation for it. The energy you get from the organic sound coming from the orchestra is so seductive right from the beginning with the intro ‘Xibir’. The haunting surprises continue as female vocalist Agnete Kjølsrud takes the stage and possesses you even further providing back-up on the main chorus lines in ‘Gateways’. Halfway into their set, as the night inherits the evening, there is another orchestral interlude in the form of ‘Eradication Instincts Defined’, and it’s here that Dimmu Borgir thankfully dips into their past. The soundtrack to sundown is played along so well with a few tracks from ‘Death Cult Armageddon’ (2003), followed by a quickie from ‘In Sorte Diaboli’ (2007). Then a few from my personal favorite, ‘Puritanical Euphoric Misanthropia’ (2001) and ultimately a track from ‘Enthrone Darkness Triumphant’ (1997) before the symphony closes out the night with perfection and vanity. I challenge anyone who isn’t a metal fan, let alone those who aren’t into extreme metal, to view this with an open mind as you get the purity of the definition of what the “symphonic” in symphonic metal stands for. After all, isn’t symphony and classical music an early incarnation of metal? Yes and no. Classical music and symphonies were their own entity and centuries later, through the evolution of music somehow these two genres met and gave us some great music by phenomenal bands, and the concert from this upcoming home video release is proof of that. The amount of work and professionalism that goes into someone’s head to decide and say, “I’m in a symphony and will play with a black metal band”, is owed a huge amount of respect and at the very least, demands your attention. One of the biggest pet peeves I have is when I’m watching a concert or music video, and the music is not in sync with the playing and the players. Biggest and most annoying thing in the world and would make me quickly turn it off. Take note, video editors and producers. This is far too common nowadays and a widely shared opinion that this lack of attention to detail can be a bad reflection of the band and editors. All of those explanations aside, the coverage for ‘Forces of the Northern Night’ is exceptionally good. With so much going on, various sections, with a hundred people on stage, horns, strings, percussion and choir – you are still given some great shots of the focus and energy they are putting into their performance. Something that I feel is lacking from this and many concert and music videos is more focus on the players themselves, and their playing. As a drummer, I say this as I like to see musicians in action, as years of experience has proven to be a great learning tool for your playing. I advise any musician, aspiring or otherwise, to watch closely and take note. You will learn something from live concerts and concert videos. Coming back to this release, the Wacken concert described above is DVD 2, while DVD 1 of the package is a film of a separate concert performed in Oslo, Norway in 2011 at the Oslo Spektrum, with The Norwegian Radio Orchestra and Choir known as Kringkastingsorkestret. It’s the same setlist, and just as great if not better than the Wacken film. DVD 1 also includes a documentary as a great bonus, and the 2-disc CD version is also an audio recording of the Oslo concert. 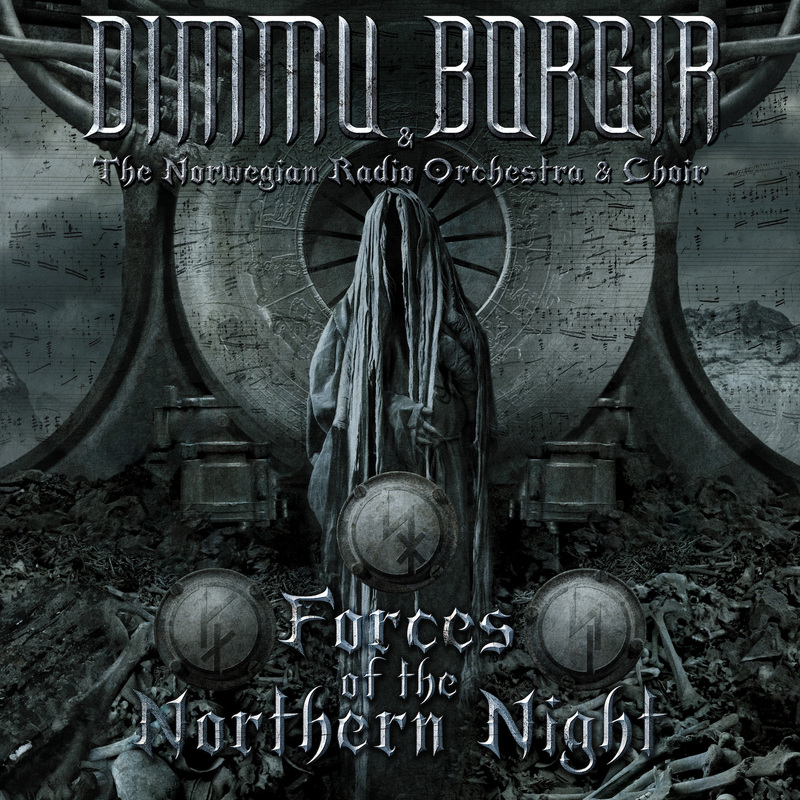 ‘Forces of the Northern Night’ is certainly a must-have for Dimmu Borgir fans, and anyone who would like to get a front-row experience to a very special concert showcasing the meeting of black metal and symphony orchestra, captured excellently well by the filmmakers. If you like what you’ve read/seen, buy a shirt and help keep Metal Assault running full time! If you live in the LA area, come to one of our Metal Assault Nights at the Viper Room, and/or the Metal Assault Matinee events at the Silverlake Lounge! Album Review: The Midnight Ghost Train – Cypress Ave.